This clip is from Barsaat, a 1949 Bollywood film directed by Raj Kapoor. The film stars the famous duo of Kapoor and Nargis as well as Prem Nath. Barsaat, one of the first major hit films directed by Kapoor, allowed him to buy RK Studios in 1950. The name Bollywood, a mixture of Bombay (Mumbai) and Hollywood, is often used to summarize all movies produced in India. 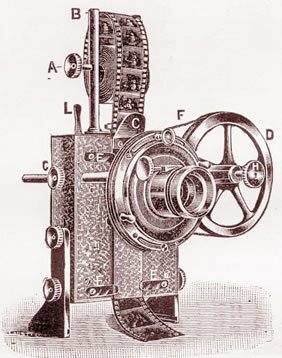 After the French Lumiere brothers arrived in 1896 to introduce their cinematograph, Bombay became the center of the Hindi cinema industry . Dadasaheb Phalke, often called the father of Indian cinema, made his first full-length movie in 1913 with both male and female characters played by men. By the 1930’s, 200 movies per year were produced in India.